Dropps Laundry Detergent: Made with a highly concentrated formula, each Dropps pac has enough cleaning action for a whole load of laundry. Free of fabric damaging enzymes, the detergent is safe for all fabrics, colors, temperatures, and washing machines. Just drop the dissolving pacs into your washing machine, then move on to more important things on your to-do list—like painting your nails. My thoughts: I know what you are thinking—laundry detergent? But! I have never tried anything like this before, and not only did these little drop pacs do their job, but they are very convenient! 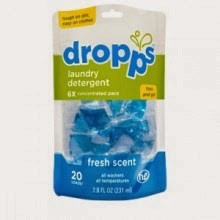 Would I purchase these laundry detergent drops? Yes! 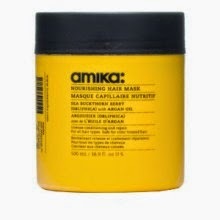 Amika Obliphica Nourishing Mask: Sourced from rare sea buckthorn berries, Obliphica oil is a wonder ingredient rich in natural vitamins and omega acids that sink into each follicle, repairing any signs of heat and styling damage. Moroccan argan oil infuses hair with deep moisture, while vitamin C adds brightness and shine. Plus, the formula is completely free of parabens and sulfates. My thoughts: I love using hair masks, and try to use one every one to two weeks. 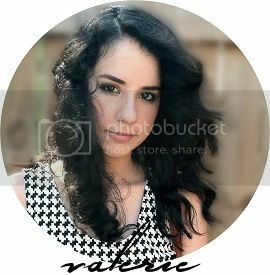 I have never used a hair mask that did not leave my hair feeling and looking healthy. I love that this hair mask is full of healthy properties. Would I purchase this hair mask? Maybe! Juice Beauty Oil-free Moisturizer: Instead of plain old H2O, this moisturizer is formulated with a blend of juices and other botanicals that nourish skin. Organic apple, grape, and pomegranate juices nourish with antioxidants and phytonutrients, while hyaluronic acid draws moisture to the skin without the weight of oils. Aloe leaf juice and cucumber extract soothe skin and heal redness and irritation. Use it regularly to balance your skin tone while replenishing moisture levels. Taylor Swift Wonderstruck: Inspiration for Wonderstruck came from Taylor’s favorite memories and scents. The fragrance is a gourmand floral; a charming and sparkling surprise of vibrant fruits, kissed by a bouquet of soft petals and a touch of sweet indulgence. My thoughts: As I mentioned in my March Birchbox review, I am picky when it comes to perfume. I am not in love with this one. However, it does have a nice feminine scent. I can definitely smell the floral and fruits. Would I purchase this perfume? Maybe. Zoya in "Lotus" - True Spring Collection: Each Zoya shade goes on opaque with just one coat and lasts 50 percent longer than traditional polishes. And you’ll be glad to hear that the vegan-friendly formulas don’t contain formaldehyde, tuolene, camphor, and other toxic chemicals. My thoughts: This is definitely my favorite beauty product in this month's Birchbox! I absolutely love Zoya nail polishes. The shades are very opaque and long-lasting. Would I purchase this Zoya nail polish shade? Yes! 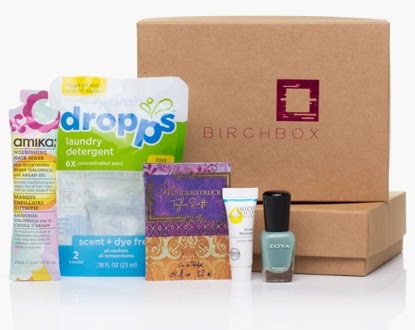 Aww, I'm sure there are other and similar beauty boxes you are able to subscribe to! Thanks for stopping by! Looks like a great box! So jealous of the Taylor Swift perfume, I've been wanting it since it came out! And that nail polish is gorgeous. The Nail Polish have a great Colour! i've always wanted to try juice beauty products! maybe now i will after your review! great post! I love Juice Beauty's Oil-Free Moisturizer! It really soothes my skin and leaves it feeling super hydrated! It's the best moisturizer I have ever used! Love this! And shame I can't get it lol, love your blog too!